A dark winter night, with the Milky Way crossing the firmament while its center in located near the zenith, is one of the most astonishing views we can enjoy. 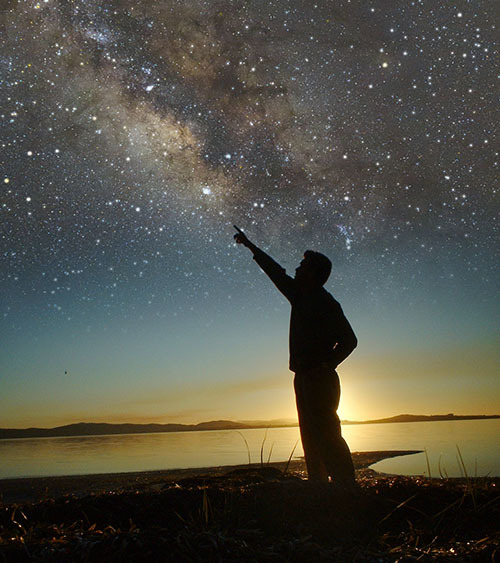 This vision is only obtained from the Southern Hemisphere and it is really inspiring. 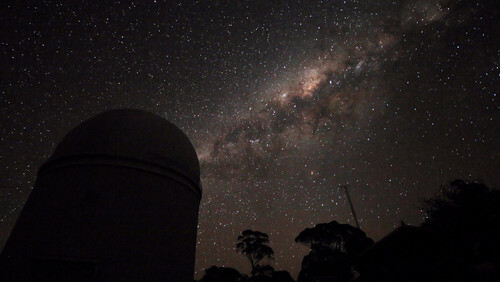 In particular, the Milky Way shines over the Siding Spring Observatory, near Coonabarabran (NSW), where the famous Anglo-Australian Telescope (AAT) is located. 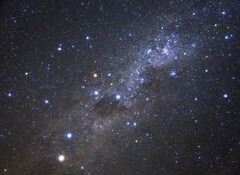 With the idea of sharing the beauty of the night sky to everybody, in May 2011 I decided to start taking timelapse photography while I was working as support astronomer at the AAT. This technique consists on taking many images and then adding all to get a movie with a very high resolution. The best shots I obtained by September 2011 were included in the video The Sky over the Anglo-Australian Telescope, which is available both in YouTube and in several MOV/MP4 files (HD, iPad, iPhone) in my personal AAO webpage. 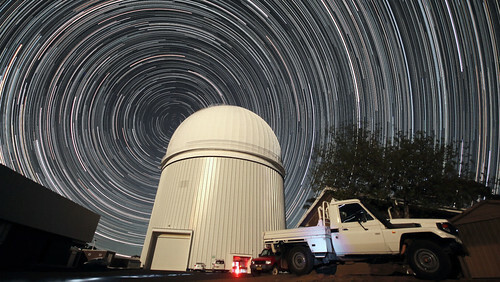 “The Sky over the Anglo-Australian Telescope” was my first public timelapse video, released in November 2011.
Credit: Ángel R. López-Sánchez (AAO/MQ), the credit of the music is Echoes from the past, by Dj Fab. The video, which lasts for 2.7 minutes, is the results of combining around 3800 different frames obtained using a CANON EOS 600D between June and September 2011. Except for those frames used for the sunset in the first scene, all frames have a 30 seconds exposure time, with a ISO speed of 1600. As the videos were created at 24 fps (frames per second), each second in the movie corresponds to 12 minutes in real time. I used several lens to take the images (standard 50 mm, 50mm x 0.65 focal reducer and a 10 mm wide-angle lens). The focal chosen was 5.6 (for the 50 mm lens) or 4.5 (10 mm wide-angle lens). Processing each sequence of the movie took five to six hours of computer time, and usually I had to repeat this at least once for each sequence, to improve the quality. The soundtrack I chose is an extract of the music Echoes from the past, by the french composer Dj Fab, which gives energy to the timelapse. 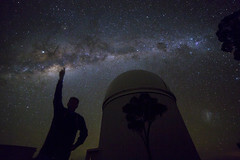 The Milky Way is setting at Siding Spring Observatory on 21 Sep 2011. Click here to get the full resolution frame. As my main job while I’m at the AAT is providing instrumental and scientific support to the astronomers who are observing in this telescope, I always set the camera up at the beginning of the night, let it run, and check on its progress occasionally. Sometimes this was not easy: wind knocked the camera over on a couple of times, often the battery ran out, and even once I had an encounter with some intransigent kangaroos. However, finally I got this material, which does not only show the magnificent Milky Way rising and setting above the dome of the AAT, but also stars circling the South Celestial Pole, the Magellanic Clouds over the AAT, satellites and airplanes crossing the sky, the Moon rising and setting, and the most famous constellations as Orion, Carina and the Southern Cross. 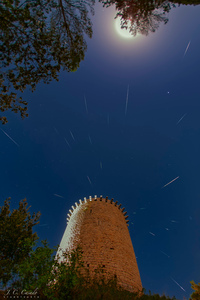 Circumpolar star traces (2.7 hours) over the Anglo-Australian Telescope on 20 Sep 2011. I hope you enjoy the result. More timelapse videos to come soon! 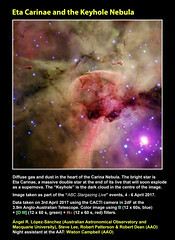 This entry was posted in Amateur, Astrophotography, Observation, Observatories, Outreach, Personal, Stars, Timelapses and tagged 2011, AAT, astronomy, Outreach, SSO, stars, Timelapse. Bookmark the permalink. Thank you !! / ¡Gracias!